This blog post is a sneak preview of an upcoming tutorial. 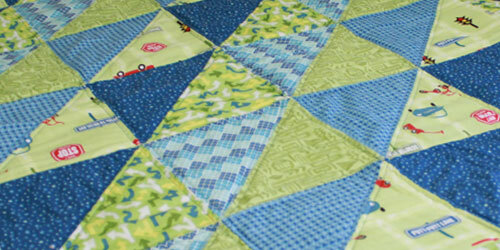 I’m working on a printable pattern for this medium difficulty half-square triangle quilt to share here on Craftcore. I wanted to create the Diamond Eight Point Star block without having to cut and piece diamond units, and you can do it too! The pattern is not yet ready to share, but I can’t resist sharing the end results of this project because it just makes me so happy to look at it. 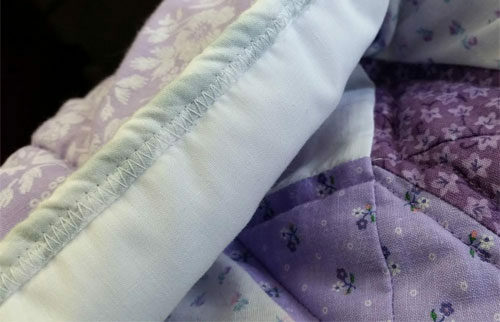 This purple quilt uses dainty floral prints against a crisp white background. 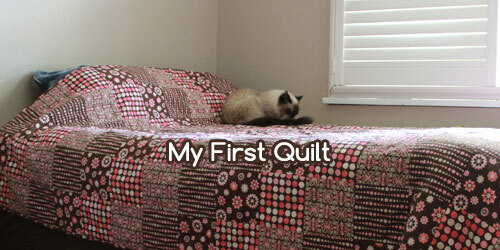 This quilt is a gift for my sister-in-law and my not-yet-born niece who is due to be born in the next few weeks. 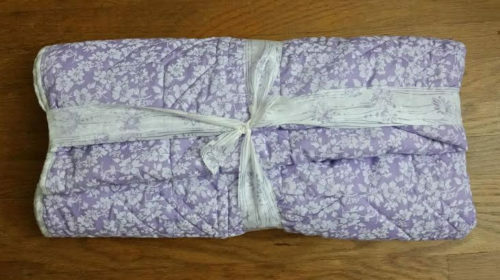 I really hope the baby enjoys this quilt! The baby’s room is going to be purple and grey, so I incorporated a light grey and white fabric as the binding for a subtle touch of grey. 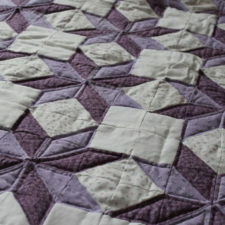 I only quilted around the petals of the diamond shapes 1/4″ inside the each design. 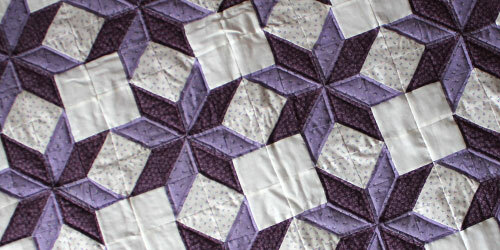 Doing this style of quilting helps the seam line of the two pieced triangles that make up one diamond disappear in contrast to the stronger quilt lines. I used a purple variegated thread that fades from light to dark purple and back again. I love the way the design looks on the backside. 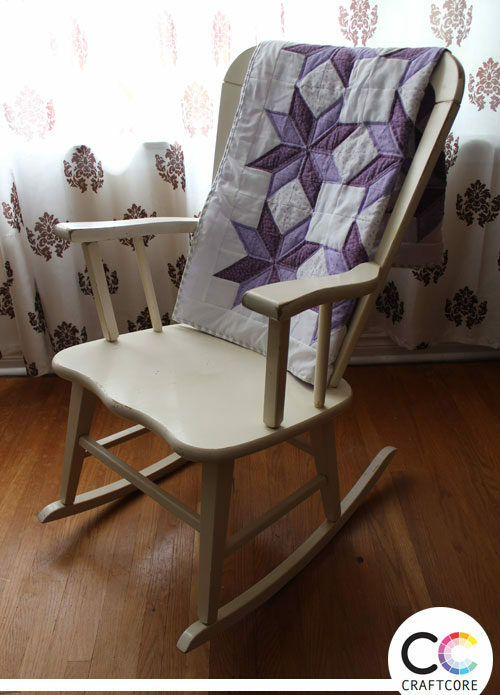 The quilt measures 38″ x 48.5″. 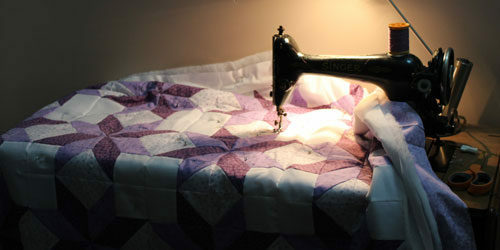 Want to learn how to make this quilt? 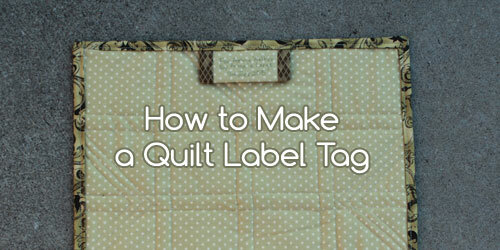 I’m currently in the process of creating a printable pattern for you to assemble this quilt. 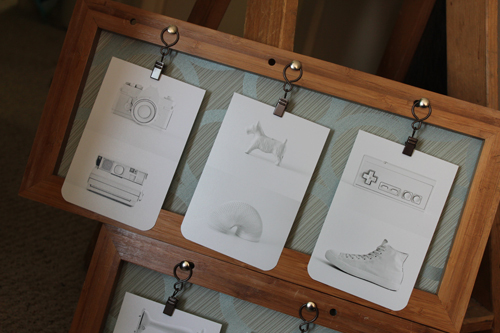 I’ll update this blog with the link to the printable pattern once it’s complete. 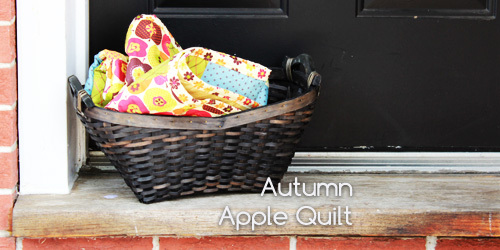 Please be sure to subscribe to my email list (link in my footer) or like Craftcore on Facebook so you don’t miss it!